Light up your life with endless outdoor lighting options. 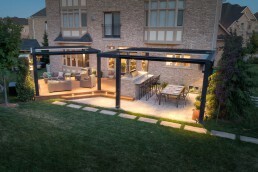 From floodlights to string lights, LED lighting to solar, outdoor lighting can be installed for style or functionality. It’s especially a great way to highlight a focal plant or outdoor structure as a piece of art. 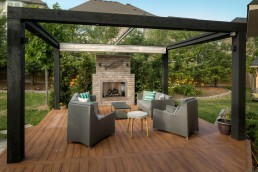 Clients look to Royal Decks and Landscapes to create and build their outdoor space. The company uses 3D renderings to help prospects visualize their completed project. By doing so, they can define the size and shape of the deck, including all the bells and whistles. Royal Decks created this modern themed design with the help of a couple preferred suppliers. They defined two different spaces using a deck, stone patio and two timber pergolas. Coupled with ShadeFX canopies and In-Lite Design’s lighting features, the project began to take life. 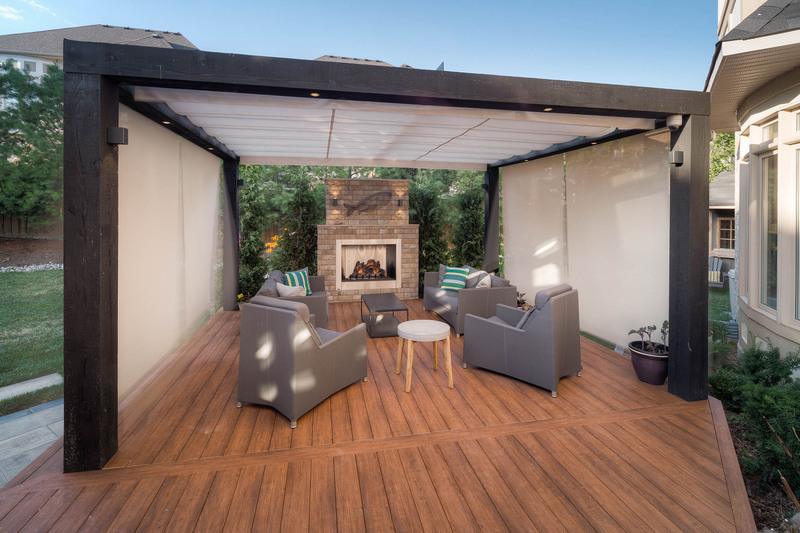 In-Lite’s quality and easy installation allows Royal Decks to effortlessly integrate outdoor lighting into their designs. One of this clients ‘must haves’ was a space equally useable both day and night. In this case, In-Lite was applied in a few unique ways, with spectacular results. 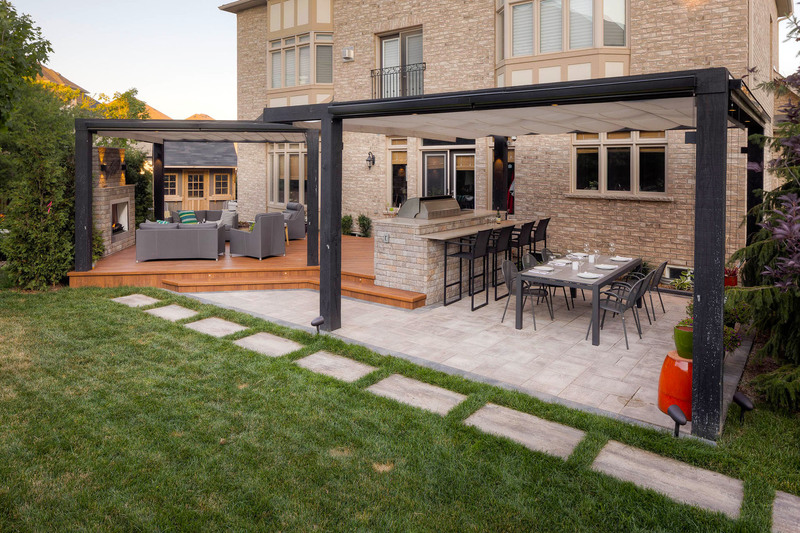 The pergolas act as features that define two backyard spaces. They provide sun and rain protection, and with the addition of lighting, increased visibility in the evenings. 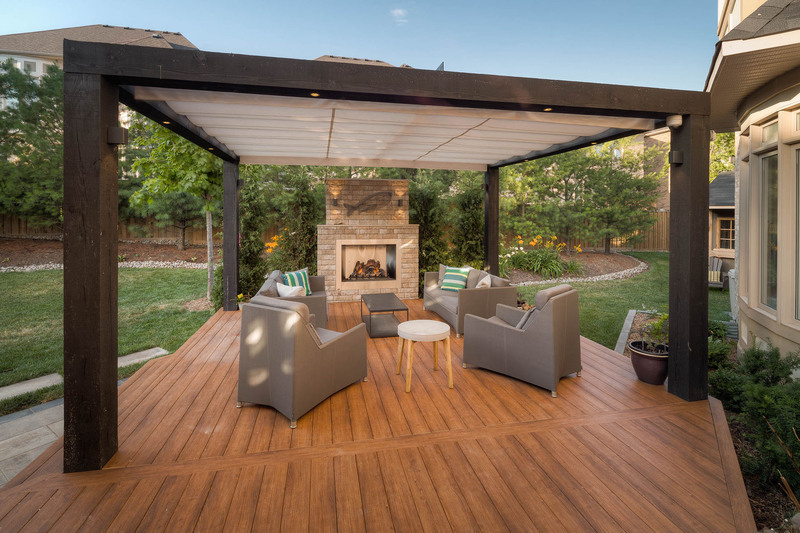 The timber pergolas include two manual retractable shades measuring 18’ x 16’ and 14’ x 16’. 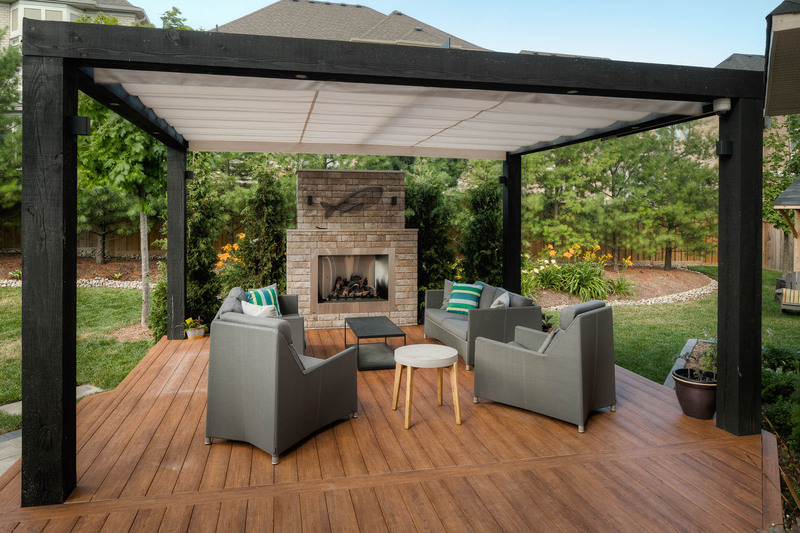 The Sunbrella oyster fabric complements the outdoor structures. By illuminating the stairway with outdoor lighting, it increases safety while the floodlights further improve security. 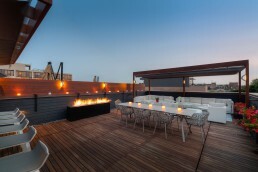 Outdoor lighting is a great addition to any outdoor space. 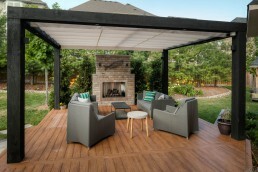 It transforms an area into one that is warm and inviting. Finding the right amount of ambience is easy with all of the lighting options available and best of all, it will keep your space cozy, safe and bright. Define your cozy space with ShadeFX. Contact us today. 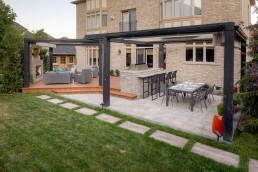 Royal Decks installed two manual retractable shades on timber pergolas measuring 18’ x 16’ and 14’ x 16’. 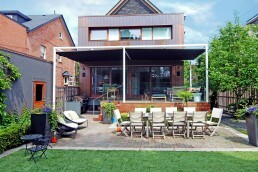 Sunbrella oyster fabric was used to complement the modern design of the outdoor structures. With the addition of In-Lite Designs’ unique lighting, the space feels cozy, safe and bright – especially at night.